For the past 2 years, I’ve been buying, not making, a dog-friendly birthday cake for Banjo’s special day. While she may be oblivious to the passage of time, I’m just not the type of person to let her spend her birthday without a fancy cake. This year, I decided it was time to try my hand at making her birthday extra special and baking a cake myself. I browsed a few recipes online and settled on one that had almost all of Banjo’s favorites. 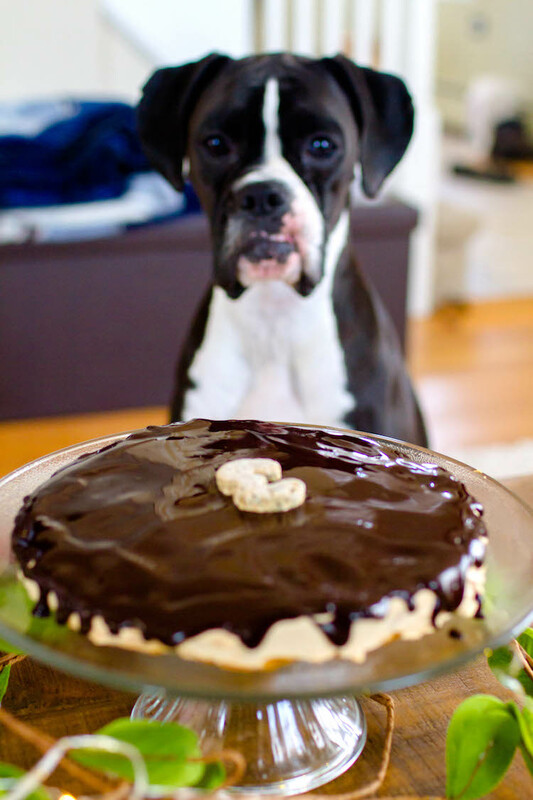 Ingredients for this dog-friendly birthday cake recipe include peanut butter, applesauce and pumpkin. There’s no sugar in this dog cake recipe. But you could still have a slice, too, if your pet doesn’t mind sharing. In a large bowl, mix the flour and baking soda. 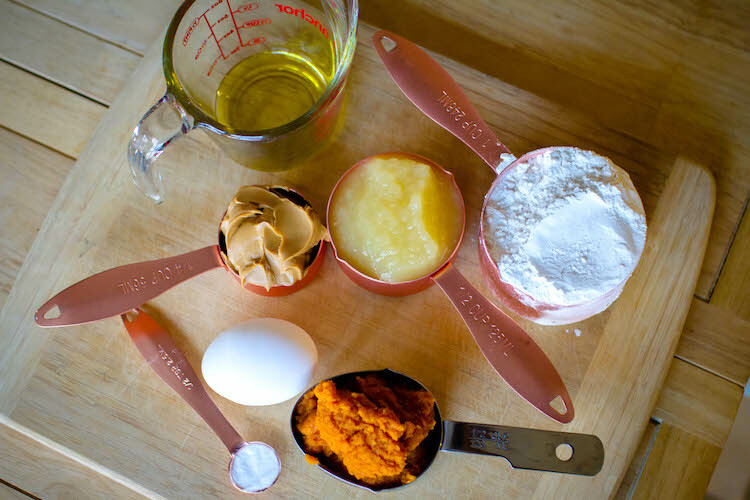 In another medium bowl, combine the oil, peanut butter, applesauce, pumpkin and egg. Pour the wet mixture into the flour mixture and combine. 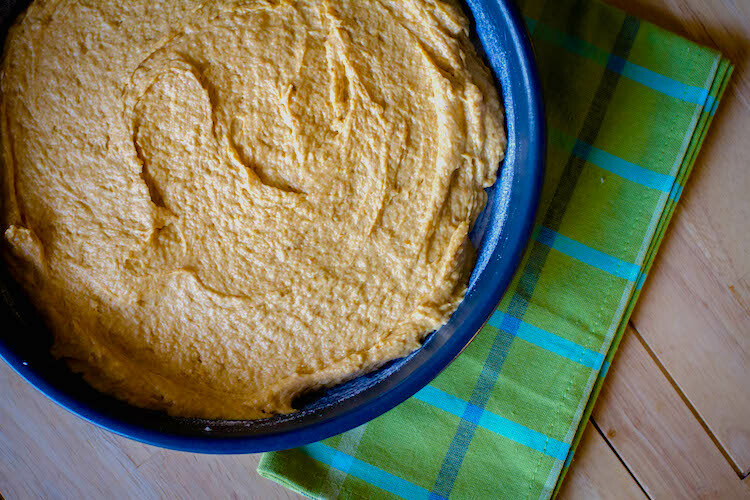 Spread the batter evenly in a greased 8- or 9-inch round cake pan. Bake for 25–30 minutes or until a toothpick inserted near the center comes out clean. For the frosting, mix the yogurt and peanut butter in a small bowl until well combined. 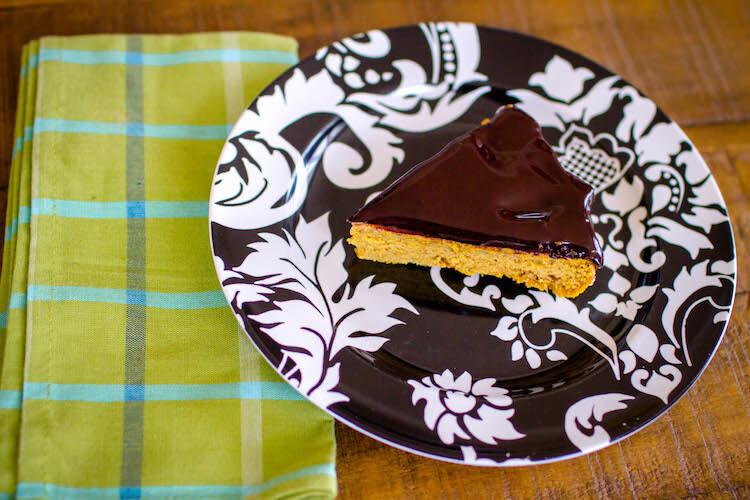 To create the drizzle, mix the carob powder into the hot water until completely dissolved. Allow the drizzle to cool slightly. Frost the cake and pour the drizzle on top. I topped this cake using a “3”-shaped Peanut Butter and Banana Dog Cookie — I’ll share the recipe for those cookies next week. 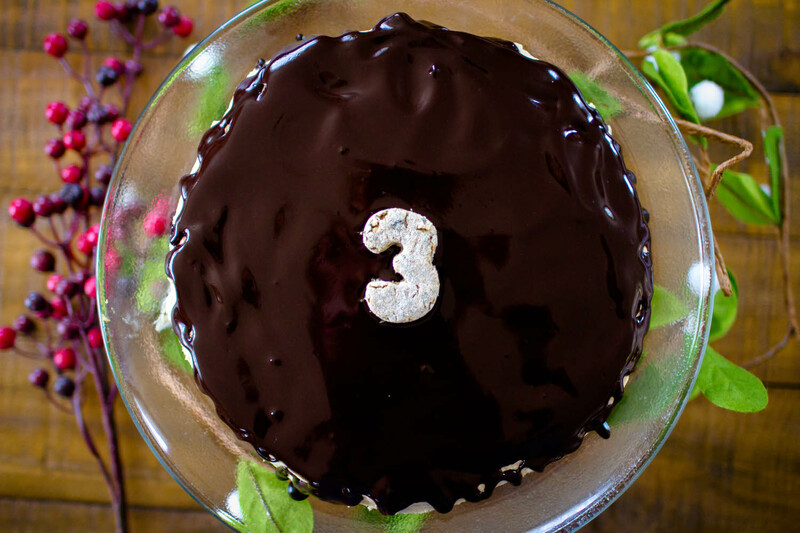 If you’re planning on having a dog birthday party, you can easily double this recipe to make a double layered cake for all the pups on your guest list. A little slice of heaven for your birthday girl or boy. I was on the fence about adding frosting and the carob drizzle to this cake, but I also knew that the dark icing would make any little decorations really pop. Although Banjo may not have appreciated the aesthetic value of such a lovely contrast, she certainly appreciated the taste. Adapted from Love From the Oven.